Stephen Harper’s 2008 apology to residential school survivors was considered a historic, if largely symbolic, step towards reconciliation with Canada’s First Peoples. In making the gesture, however, Harper failed to acknowledge the Innu, Inuit and NunatuKavut people of Newfoundland and Labrador. Why? Because residential schools in the province were set up before Newfoundland and Labrador joined Confederation. The five residential schools that operated in the province—the last closing in 1980—weren’t federally run, and so the Harper government evidently felt no need to recognize the thousands of survivors who attended them, nor their families or communities. The decision was seen as a particularly glaring flaw of the apology—one that translated as a distinct lack of sincerity and empathy for Canada’s Indigenous people. 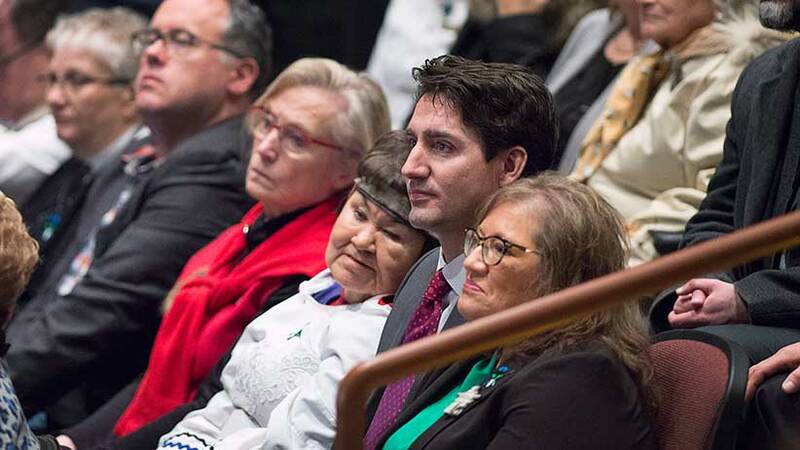 A class-action lawsuit ensued and, last year, the Liberal government agreed to distribute $50 million to Indigenous survivors who were left out of the original apology and settlement. The full transcript can be read below.